During June 10 and <?xml:namespace prefix = st1 ns = "urn:schemas-microsoft-com:office:smarttags" />June 14, 2005, Prof. Carol Baskin and Prof. Jerry Baskin from Kentucky University,USA came to visit XTBG on invitation. Academic exchanges have been carried out between them and some XTBG scientific workers and postgraduate students. During their stay at XTBG, the two professors visited the scientific facilities as the Seed Bank and Laboratories. A lot of constructive suggestions on relevant research have been put forward by them. They also visited the ex situ conservation area for rare and endangered plants, living plant collections, the herbarium and field monitoring stations. Prof. Cao Min, deputy director of XTBG, accompanied them a field trip to the Nature Reserve in Mengla County. On June 14, the two professors delivered lectures titled “Classification and Biogeography of Seed Dormancy” and “Phylogenetic Relationship of Seed Dormancy” respectively. 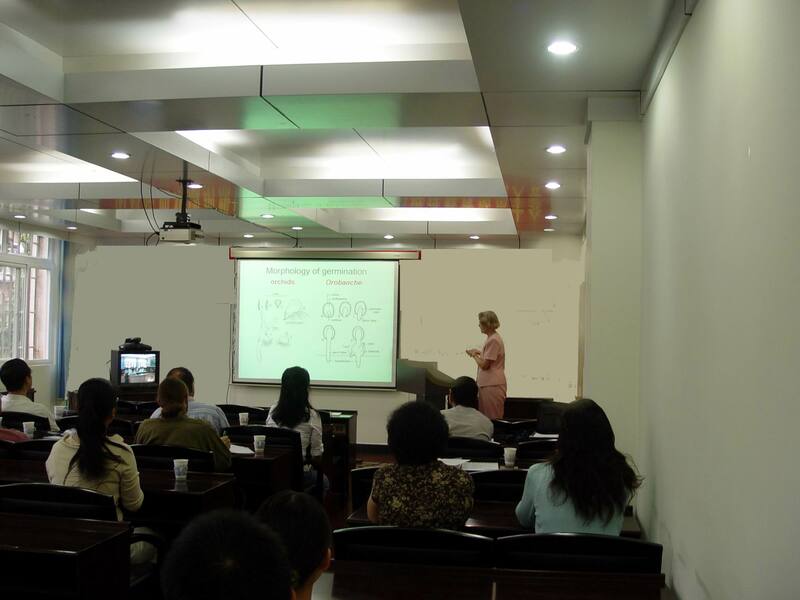 More than 40 scientific workers and postgraduate students listened to the lectures. Prof. Carol Baskin and Prof. Jerry Baskin have long committed themselves to the studies on the classification, biogeography, and phylogenetic relationship of seed dormancy.